There is an ample supply of tweaks for jailbroken devices that either enhance or improve the overall functionality of the Messages app. However, these tweaks might be helpful for some jailbreak users while others still feel a dire need for more features. 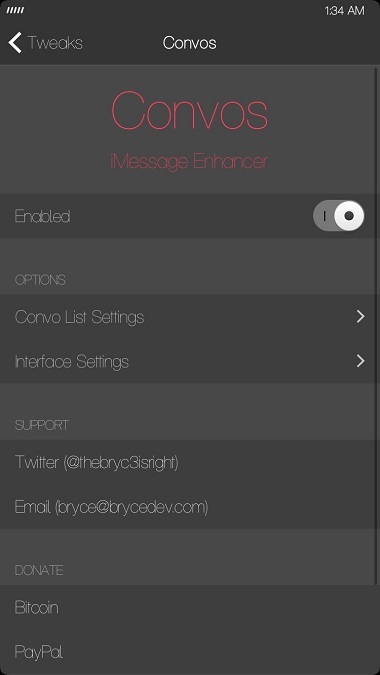 On that note, we bring to you the ‘Convos’ jailbreak tweak. 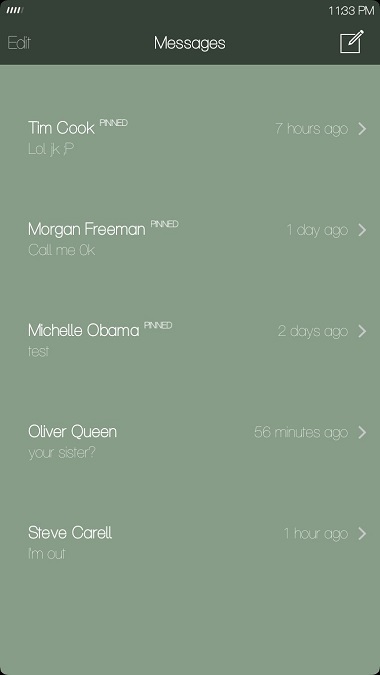 Convos is a new jailbreak tweak stringed with new features that jailbreakers would definitely want to lay their hands on. This tweak carries astounding features that are probably not available in most of other messaging tweaks available on Cydia. Convos gives you the ability to customize your Messages app along with a handful of other useful features which we will be telling you later on. The Messages app is likely to be one of the most frequently used apps on iOS and henceforth, tweaking it with Convos makes it really functional. So let’s see some details over the new jailbreak tweak, Convos. The reason Convos sets itself apart from other jailbreak tweaks is for its feature set which are available all in one place. Users do not need to install separate tweaks to integrate different features with iOS 8 Messages app. Moving on to the functions, Convos hosts a feature that would enable users to completely redesign the Messages app on iOS 8. It gives a new look and feel to the native messaging app with a completely new interface with bold colors for table backgrounds, summary and more. Convos gives the ability to pin any conversation at the top of the list, so you can rest assured that your important threads are just a tap away. Users can use swipe gestures to easily mark the conversations as read or unread. Conversations can also be sorted in alphabetical order other than chronological. Users can also load more messages in a conversation thread that squeezes in more text in a single view. 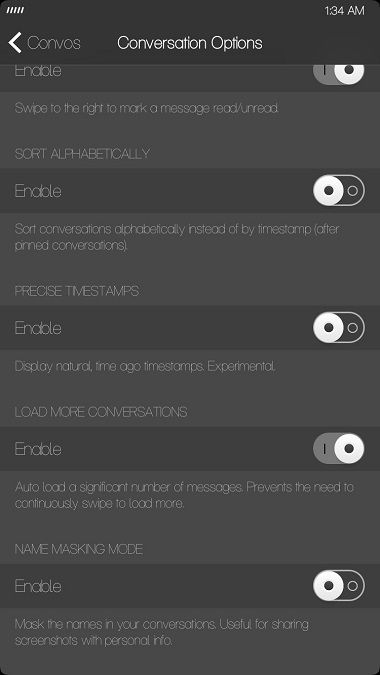 The customization aspect of the Convos tweak offers abundant options to play with. Users can veil or unveil the separator lines between each conversation, the ability to hide chevrons located at the right side of each conversation and the option to remove underlined events or URLs in chats. One of the most important features is the obfuscation of the message name which is pretty great if users consider to take a screenshot. Convos jailbreak tweak also holds two different sections in its beautifully designed preference pane; one for features and the other for customization options. Convos is an attractive and easy to use tweak. Personally, the tweak gives a funky aspect to the Messages app in iOS 8 which some users would definitely want to try. 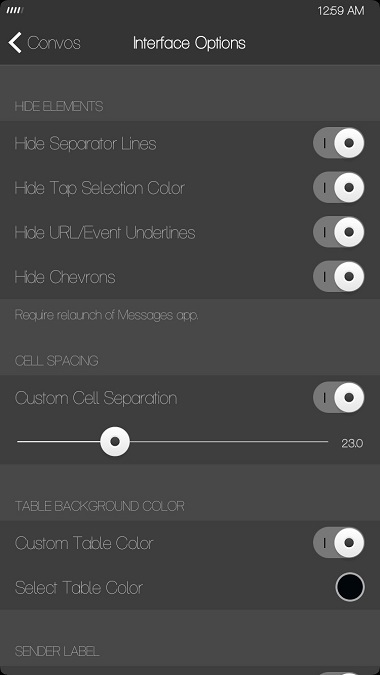 Available on Cydia’s BigBoss repository for $1.29, Convos only has support for devices running iOS 8. Share your experience with us if you considered giving this tweak a swirl.